The IEEE International Conference on Data Engineering (ICDE) is a premier forum for presentation of research results and advanced data-intensive applications and discussion of issues on data and knowledge engineering. The mission of the conference is to share research solutions to problems of today's information society and to identify new issues and directions for future research and development work. The 27. ICDE 2011 is organized by the L3S Research Center. The Conference Pictures are now online. How Schema Independent Are Schema Free Query Interfaces? 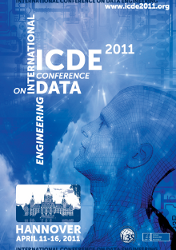 Anastasia Ailamaki (EPFL), Johannes Gehrke (Cornell University) and Georg Gottlob (Oxford University) will be keynote speakers at ICDE 2011. 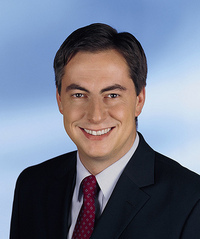 The Organizing Committee is glad that the Prime Minister of the federal state of Lower Saxony David McAllister has kindly accepted the invitation to be the Patron.